We traveled to Cape Breton Island after leaving Fundy National Park on Sunday. I had booked two nights camping, complete with electric hookups, at Whycocomaugh Provincial Park. This very scenic little park was only 45 miles from Cape Breton NP, where we are currently camped. My mistake was asking for electricity! We ended up in the lowland with lots of mosquitoes instead of on the hillside overlooking Bras D’Or Lake. The mosquitoes rivaled the ones we had dealt with a few years ago when canoe camping in the boundary waters; only then we were prepared with head nets, etc. I could have changed the site as the lady at the reservation desk was most helpful and there were plenty of vacant sites, but we had already set up the screen house and Charlie thought we should stay put. Next time I will remember to opt out for electricity! We were unable to do the hike I had planned to the top of Skye Mtn, as Charlie’s ankle injury has still not healed. It was a nasty shade of purple and only fits in his flip flop! 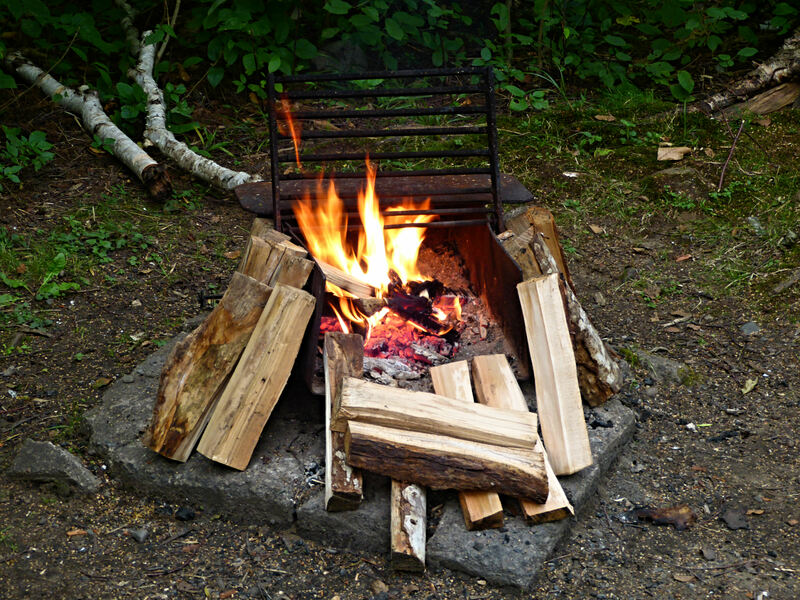 On Tuesday we drove to Cape Breton NP and we are currently camped at Cheticamp Campground, without electricity, in a large private and shaded site. Today we had breakfast while watching a Bald Eagle fish and several seals play off the rocky beach area at An empty-except-for-us picnic area on the water. 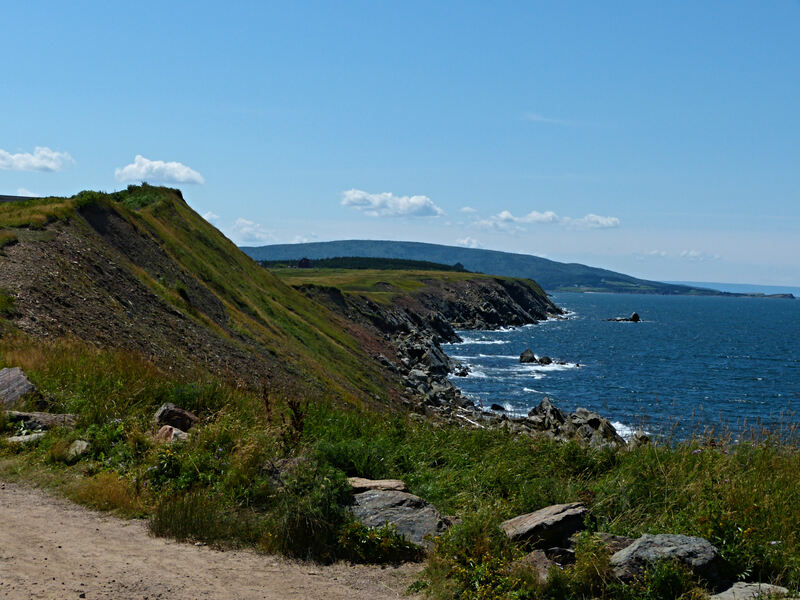 Then we drove the Cape Breton trail to Ingonish and back. 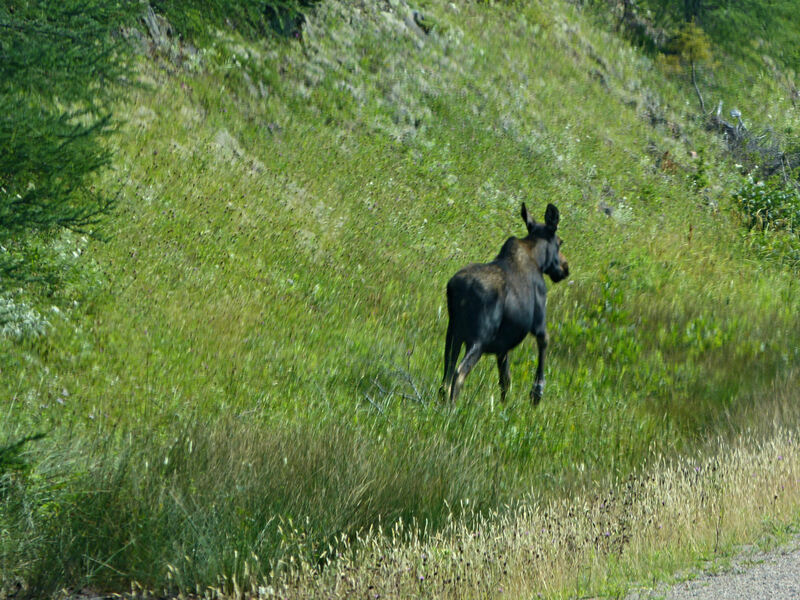 We drove alongside a young moose, but she soon disappeared into the brush. North Mtn was an interesting climb for the View, with many long ascents and descents with a 13% grade. We are going to try some short hikes tomorrow, and see how Charlie’s ankle fares. But even without our hikes, we are having a great time seeing Cape Breton! On Friday we move closer to North Sydney where we board the ferry to Newfoundland on Saturday. We have had difficulty finding wifi or getting Internet service, so will post again as the technology is available, maybe from Newfoundland! This entry was posted in Uncategorized on August 15, 2013 by Ramblin' Rose. Charlie always manages to get the best wildlife shots! FYI, the internet and Wifi service on the boats was not working for some reason this year. You can access Wifi in the terminals while waiting for the boats to load though. Can’t wait to see your next lot of photo’s! Thanks for the info, Pam. We are camped in North Sydney for the night and took a peek at the ferry terminal as one of the boats was unloading. Quite the operation!